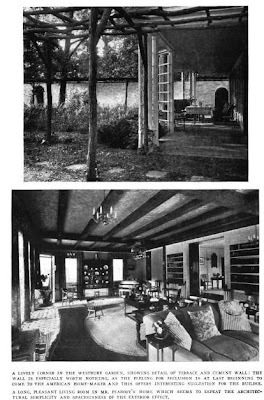 More on 'Pond Hollow Farm', the Julian Peabody estate designed by himself in conjunction with his firm Peabody, Wilson & Brown c. 1910 in Old Westbury. Click HERE for more on 'Pond Hollow Farm'. 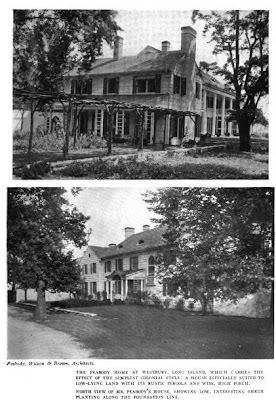 Pictures from Craftsman magazine, 1915. You should see what's been done to it today. Now it's just odd.